You can customize it as you want - there are endless options how to configure CBpress. For beginners it can be hard to make great design for this online Clickbank store. Be original with your own Clickbank store that you will hardly find somewhere else. 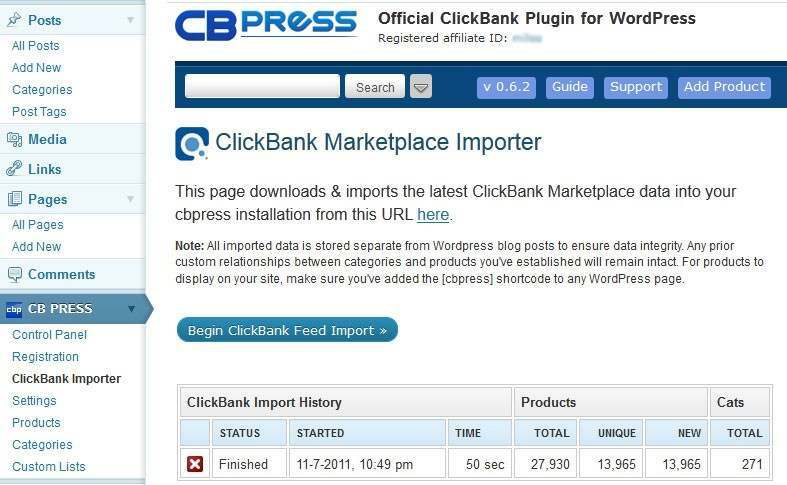 As you may know CBPress will help you to create your own Clickbank powered marketplace on your website, but basically do you want to know how it works right ? Well I will focus in this CBpress review on all steps that you have to do in order to run (successful) Clickbank store hosted on your website using CBpress. By the way it’s really important to say that this is WordPress plugin, so you need to have WordPress installed on your website in order to run this plugin. So basically if you have html website without any cms, then CBPress is useless for you. Also if you want to customize CBPress it’s great to know something about CSS and PHP too, but it’s not required at al. After you will upload your copy of CBPress on your website, it will automatically start extracting Clickbank products directly from Clickbank xml feed, so you don’t have to do anything at all. If I have to be honest, you don’t have to do anything even after extracting – because your store will be ready in a few seconds. Then it’s only up to you, if you want to customize look of your own Clickbank store or not. But wait .. what if you want store only with sport related products ? You can do it too – well you can choose categories and keywords and then you can easily remove products that are not related to your store. You can also easily change description, title, images and so on of you products. It’s also really easy to add your affiliate link to your products with single click – this affiliate link will be also cloaked – again with single click of your mouse. How much money you can make with CBPress ? Now you need to treat your Clickbank store as any other online eshop – so you need to do some SEO, but great thing about CBPress is that you will recieve 10.000 pages instantly to your website, so you don’t have to create content – so it will save you a lot of your valuable time. Then you have to only focus on SEO and marketing. Also you can easily add Clickbank ads to your sidebars and you have 100% control about your eshop, so you can customize it as you want – there is great if you know CSS very well. Anyway administration of this eshop is very simple inside WordPress admins area. 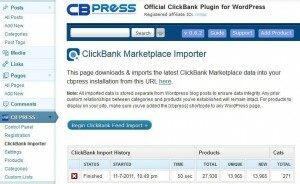 As I said earlier in this CBPress review, even newbie can setup this Clickbank eshop within a few seconds. Also if you purchase CBPress, you will get very well written documentation for this plugin, so there are all helpful tips and tricks that you can do with your own store. As you probably know admin of CBPress is offering 60 days money back guarantee, so you can easily get your money back if you think that Clickbank store is not profitable as you thought (or whatever reason you can have). So you can try it without any risk at all and then you will decide if you want to keep your CBPress license or not. Anyway I know that you can have a lot of questions about CBPress, so if you have some, please leave your questions below this CBPress review and I will try to answer your questions (or you can ask me anything you want). Anyway I hope that you found this CBPress review useful and helpful.